A must have for Whovians! 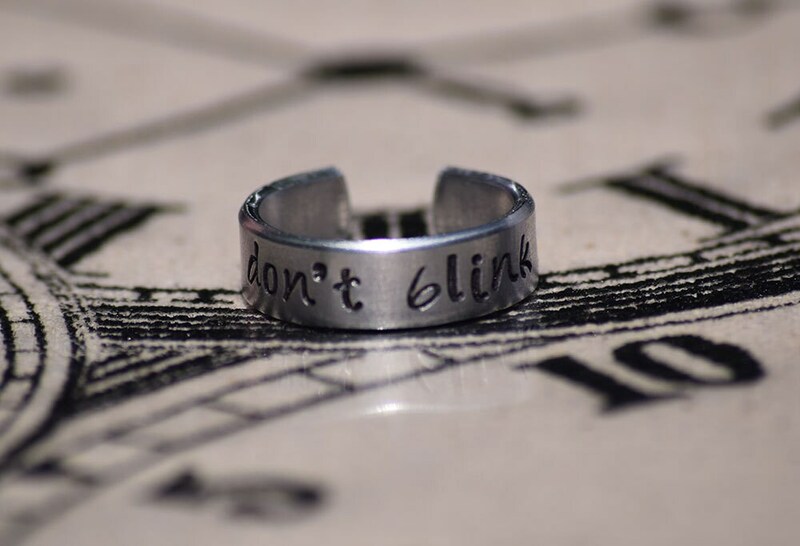 Show off your geeky side with this hand stamped aluminum bracelet displaying the quote DON'T BLINK, words to live by if you should ever come across a weeping angel! The ring is 1/4" wide 14 gauge (~1/16" thick) food safe, hypo-allergenic aluminum. 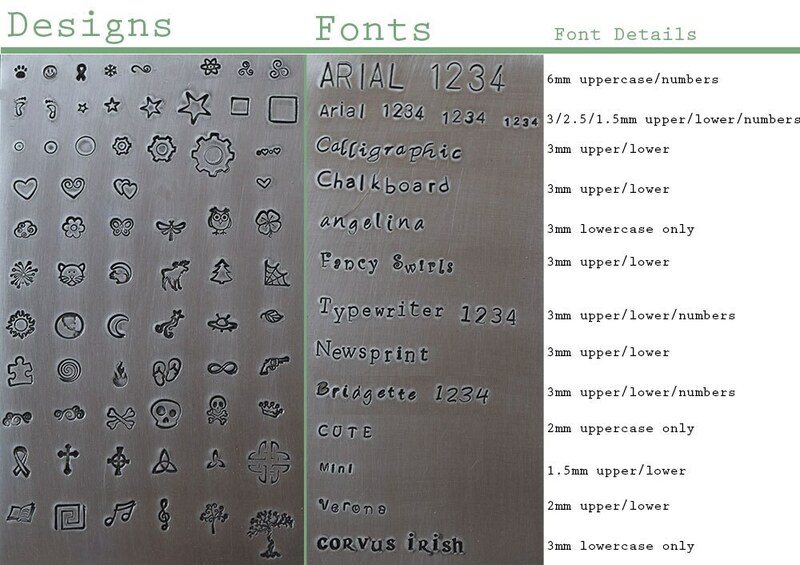 It is lightly brushed to achieve a charming brushed metal look (or can be polished - let me know on checkout). The letters have been darkened with patina. You may fully customize this ring to suit your own style. Please read through these options carefully and indicate your choices in the "note to seller" upon checkout or, in some cases, in the dropdowns to the right. If you do not indicate a choice for an option, we will use the default settings as pictured in the finished product above. The ring is adjustable within each size range and can be bent to match your finger more comfortably. This item does not come with a default design stamp. If you see one that you would like to have either surrounding the text or at the ends of the ring (a very popular option! ), please indicate your preference in the "note to seller" upon checkout. Super cute absolutely love it. Will definitely be ordering more in the future! I absolutely love it!!! It looks beautiful and I've received many compliments. Gift for daughter - she loved it! Awesome ring! Great quality and looks amazing!